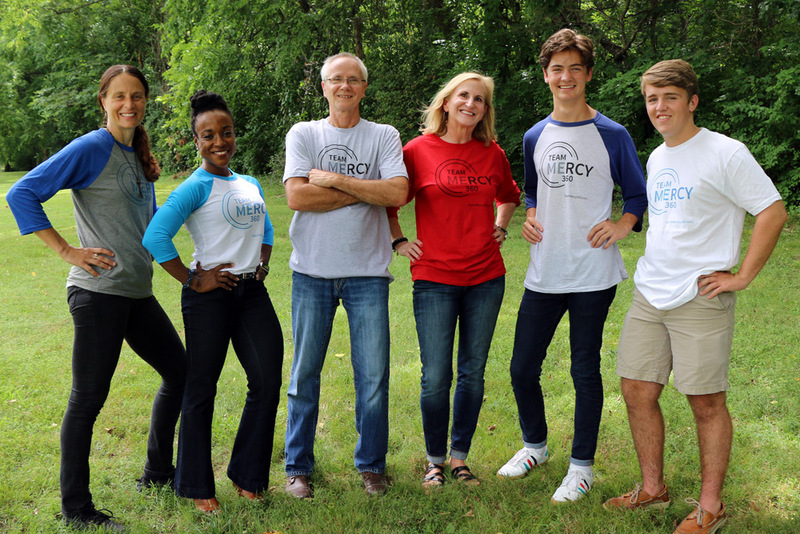 Mercy Multiplied has recently launched Team Mercy 360, a new program for supporters to make a difference in the lives of desperate young women struggling with life-controlling issues. Mercy Multiplied’s Founder and President, Nancy Alcorn, envisioned the program as a powerful way for supporters to come together on a team to help hurting girls and see their gifts multiplied. When people sign up to become part of Team Mercy 360, they are making a way for young women to find freedom through Mercy’s free-of-charge program that offers “360 degree” care and counseling for the whole person – spirit, soul, and body. Team Mercy 360 members give $30 a month and invite at least one person to join the team. Members receive a customizable t-shirt, free annual entry into one of Mercy’s “Run for Mercy 5K and Family Walk” events, and an exclusive opportunity to send hope-filled messages to Mercy residents. Excited about more than the member benefits, many Mercy staff, graduates, and others have joined the team because they want to play a part in the life-transforming mission of Mercy. “Everything about Mercy’s mission inspires me to give my best because I’ve seen first-hand the difference it makes in the lives of young women,” said Sharon Wood, Mercy staff and mother of Mercy graduate. “Mercy’s mission inspires me because I get to see the girls graduate and walk in freedom. Giving to Mercy has changed me because it gives me hope to know that women can be transformed and anyone who walks through the doors of Mercy can experience God’s love and transformation,” said Georgiana Erskine, another Mercy staff. For more information or to join Team Mercy 360, please visit www.teammercy360.com.